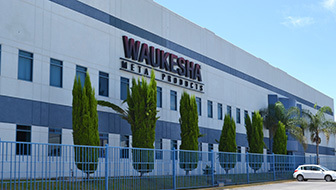 Waukesha® Metal Products’ San Luis de Potosí facility was acquired in January 2014, providing additional capacity and logistical solutions for customers in Mexico and Latin America, as well as access to a talented workforce. The 110,000 square foot facility is equipped with metal stamping capabilities up to 600 tons, sheet metal fabrication, tube fabrication, and both robotic and manual welding. The facility is located in the San Luis Potosí Industrial Park in central Mexico, about 5 hours north of Mexico City.